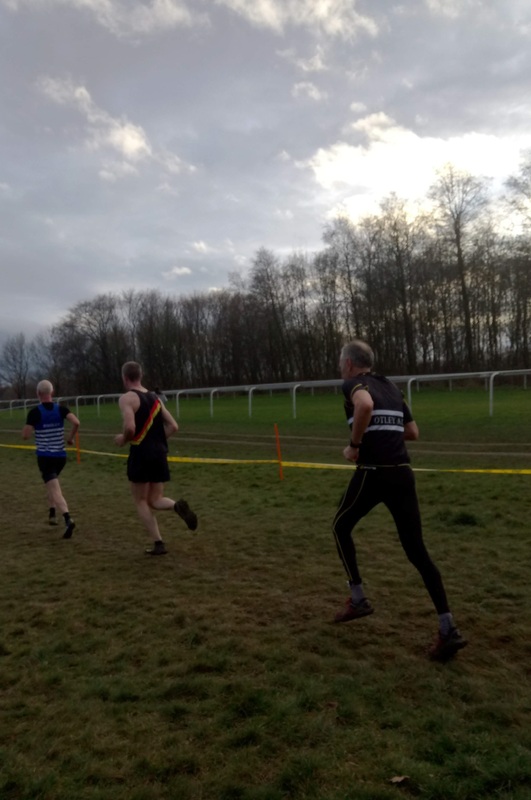 Pontefract racecourse is designed as a place for thoroughbred horses, but for one day the human versions took centre stage, with high quality races throughout the day. The sharp end of the senior women’s race was stacked with internationals, eventually woman by the Scottish Cross country champion, so Becky and Vicky had great runs finishing 122nd & 68th. As did all of the juniors, Howard and Antonio. See Otley’s results below and a full set of results here. 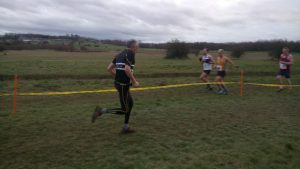 My second foray in as many weeks into the dark art of cross country running. I left plenty of time to get there, which was just as well as the traffic around J32 Xcape parking was a nightmare. 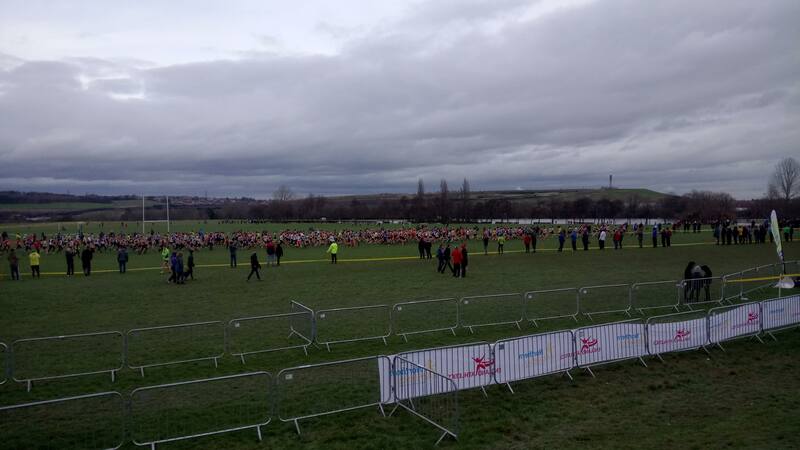 I reckon quite a few people missed the start. 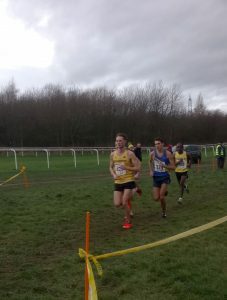 Got my number from Andrew and the ever present Antonnio was the only other Otley AC competitor in the senior men’s race. The weather was OK although a noticeable chill breeze kept the temperature down. I had opted for leggings and T shirt under the vest and mudclaws for grip and felt the choice was right. 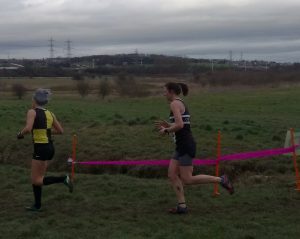 Today’s plan was to go as well as I had felt at the Yorkshire’s and race a couple of rivals in the age group. Turns out they were no shows as were about 300 others going by the allocated numbers on the start list which seemed quite a high figure. Notwithstanding 704 of the North’s best XC runners lined up across the start line in front of the racecourse grandstand. Our designated bin was 42 which Antonnio and I quite coincidently found ourselves to be standing at as you could not see the numbers for the mass of runners. I lined up pretty well at the back of the field and my revised plan today was not to get lapped which was going to be touch and go. There was some jeering at the start as we hung on for a couple of late arrivals who had to sprint to the start. Then an eerie silence for a few seconds, then off we went. The vigorous surge of the mass of runners from what must have been 80+ different clubs from all over the north was impressive and it felt great to be part of it again. I wished Antonnio well and set off at a steady pace. 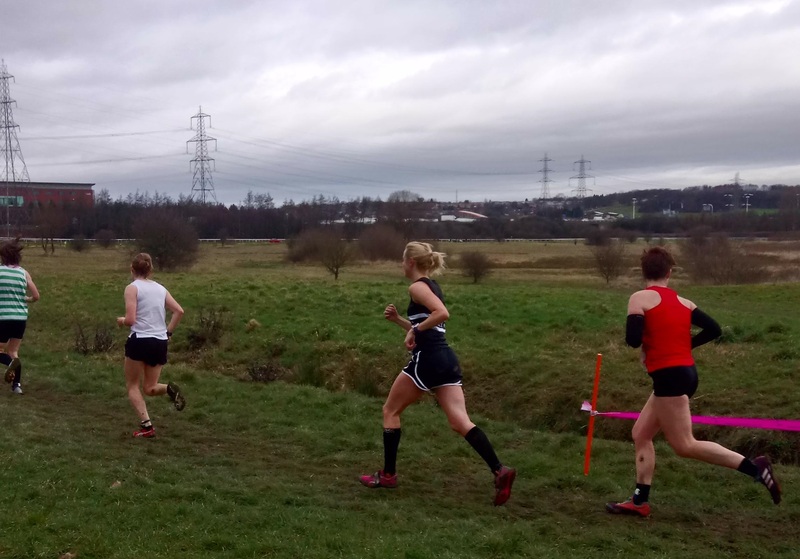 I had felt in reasonable form during the warm up and the training has been going pretty well and consistently so felt confident of a solid race. 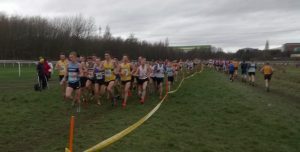 The first 3 hundred or so metres after the start which runs parallel to a separate finish straight is the only level part of the course. 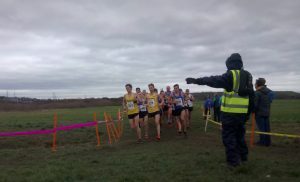 At the end of this section there is a hard left and the course starts a gentle descent within the boundary of the race track. Underfoot was soft, relatively thick grass with some trick tufts and divots to be avoided. There is also a well beaten but narrow path which was probably the best surface but of course chosen by a lot of runners who were now going slower than me. The marked route was wide so a better racing line could be had to either the left or the right of this well worn path, depending on which way the course turned. 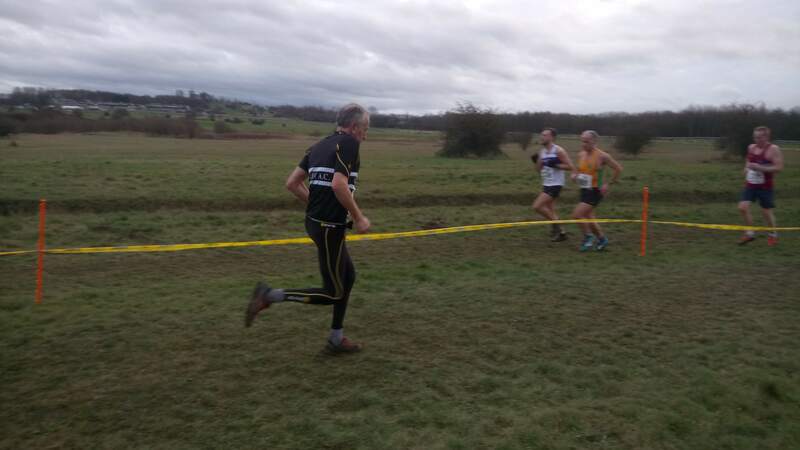 The route went to the left followed by a turn to the right and I had picked up to race pace proper after about 500 meters so was leaning into the bends and overtaking all variety of club vests which felt good. The route took a turn to the left and you had to negotiate a short sharp incline of only 10 meters or so and then a little switchback towards the first of the only two muddy sections. You can quickly high step through this bit then a hard right and down towards a tight hairpin turn and then a steady climb back up towards the start line. 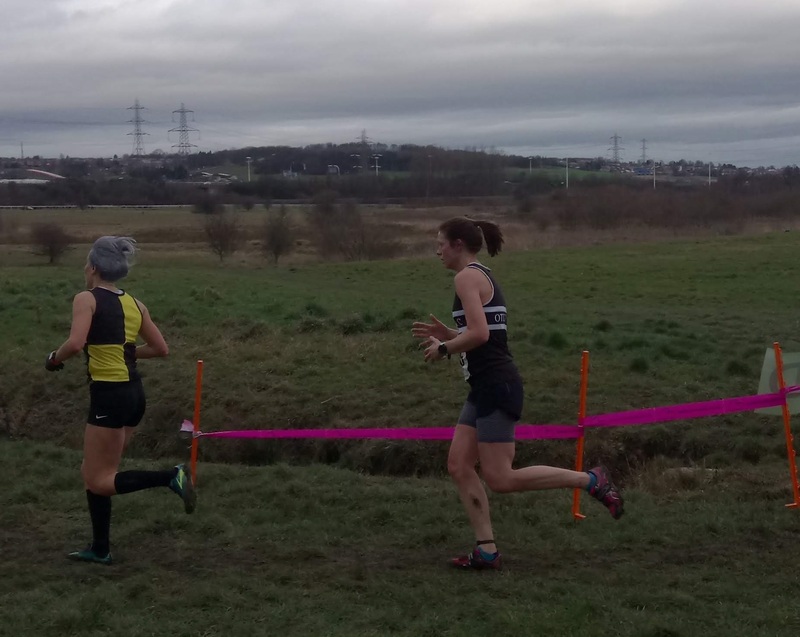 The second muddy section was just before a left turn back to the start area which had been churned up by all the days previous races but even that was readily negotiable, at least on the first lap. After this turn there is the exit for the finish funnel which still seemed a long way off. As you headed back towards the start area they had thrown in a naughty little additional hairpin for a laugh but I guess to make up the distance which was 12K made up of three laps. There was quite a lot of support along the route and I was cheered on either by name or club which was welcome as I was conscious of the breeze on a few occasions which made it hard work. I had spotted a couple of guys up ahead who I could try and race down. Alan from Valley Striders, my second claim club and Malcolm from Ilkley. Malcolm used to be with Otley and I had finished just ahead of him at the Yorkshire’s. 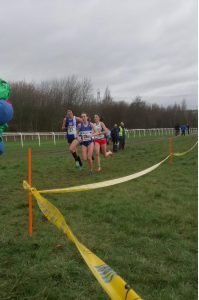 On the second lap I continued solid progress through the field and was feeling OK. Coming up the drag towards the finish on the second lap the lead runners were scorching down toward the hairpin turn. Oh No, getting lapped is on the cards after all. 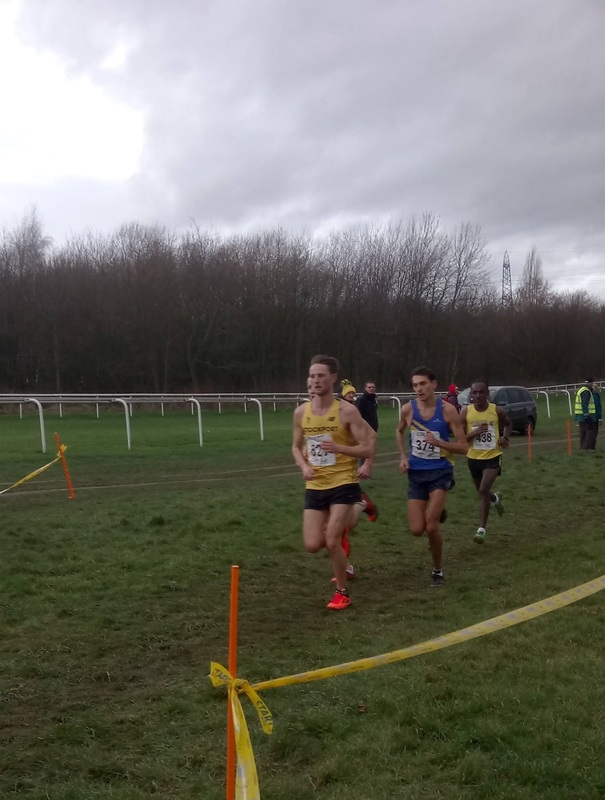 I encouraged a guy from Rotherham to get digging and we managed to up the pace for a while and were able to relax a bit as we passed the exit to the finish funnel without being caught. Nice. The spurt had done me some good so I tried to keep up the pace and managed to pass Alan between the left and right turns on the long first descent. he tried to keep up but I always pretend to be strong and go past decisively and steal the march a bit which worked. I slowly made ground on Malcolm and got to within 10 seconds. 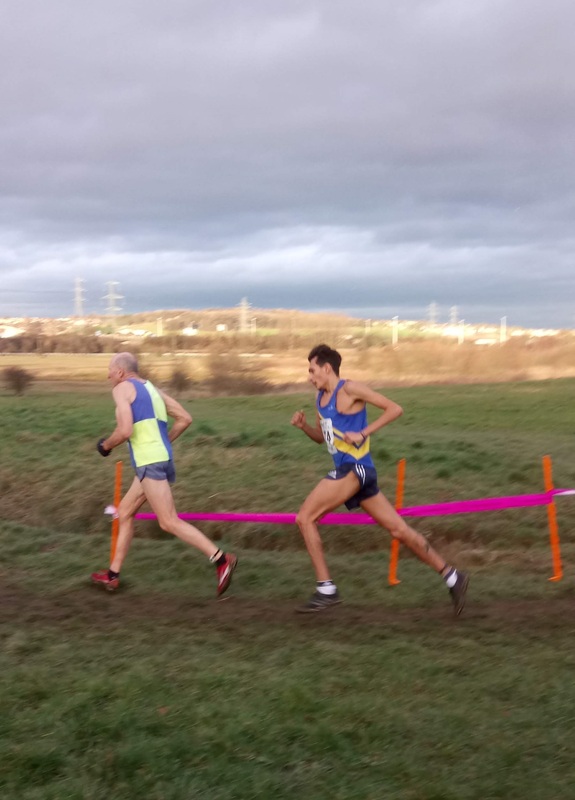 He had caught up another of our peers from Holmfirth and he raced him to the finish. I could only manage to stay the 10 seconds behind so that was one a-piece. the decider will be at the Nationals in a month. The race was won by Emile Cairess in 38.05. I was 596th in 57.55 and Antonnio was 703rd in 1.31.08. I had managed to finish in front of 9% of the field in the Yorkshire’s but today I was in front 14% of the field, so I guess I done gooder! 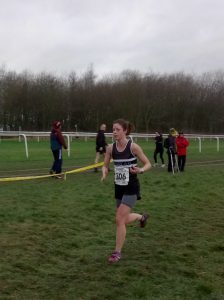 Indeed all the juniors had great runs in this championships , especially Charlotte C. who did a super race finishing in 12.55 and as well Aston B. who had a solid performance with a great time of 11.35 . 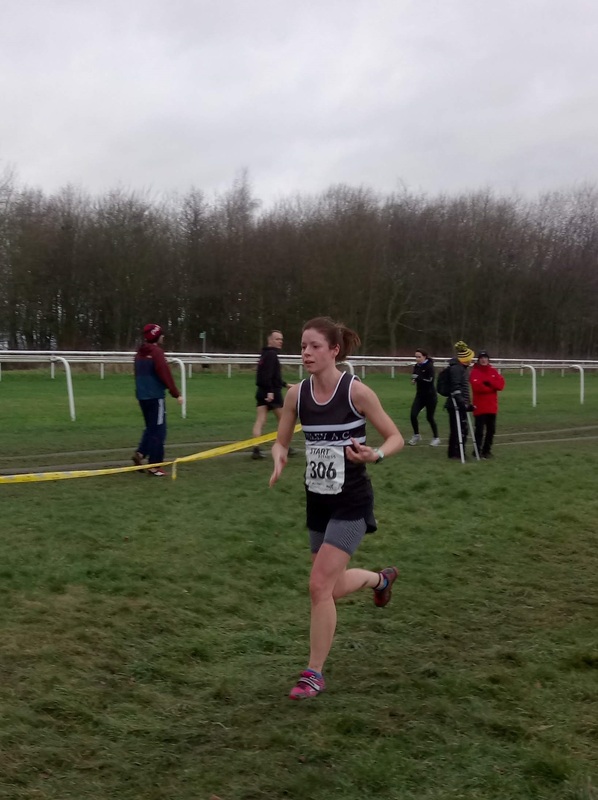 The competitor Howard J. did a fantastic 12k finishing with a significant time of 57.55 , also Rebecca H. did a superb cross country race in a high quality fields of top runners, Rebecca crossed the finish line in 35.31 , and Victoria S. did really well with a splendid time of 33.09 . Thank you to Andrew R. for the much needed encouragement and for organizing the registrations numbers . We were in bin 42 which of course is the answer to the universe.